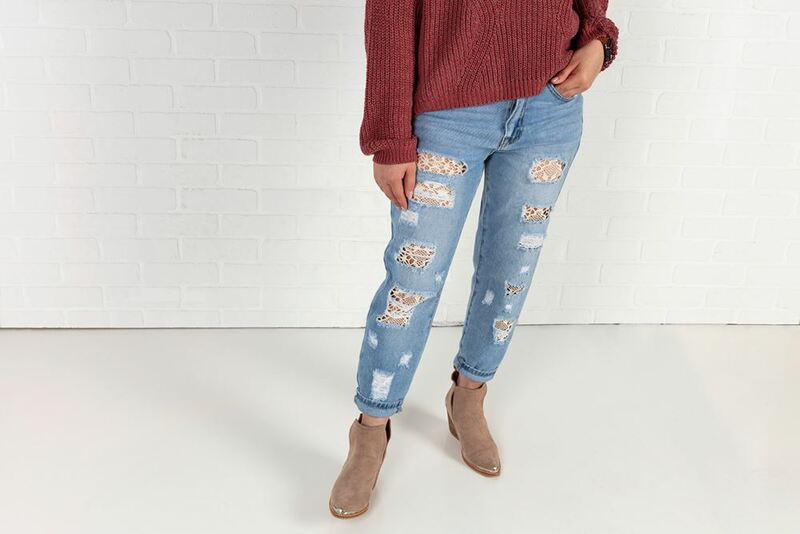 Luckily for some of us, the ripped jeans trend is still a thing! Over time and with washing and wear and tear, however, those rips can get bigger and bigger and end up not being so wearable anymore. One fab solution we're big fans of is adding some lace! 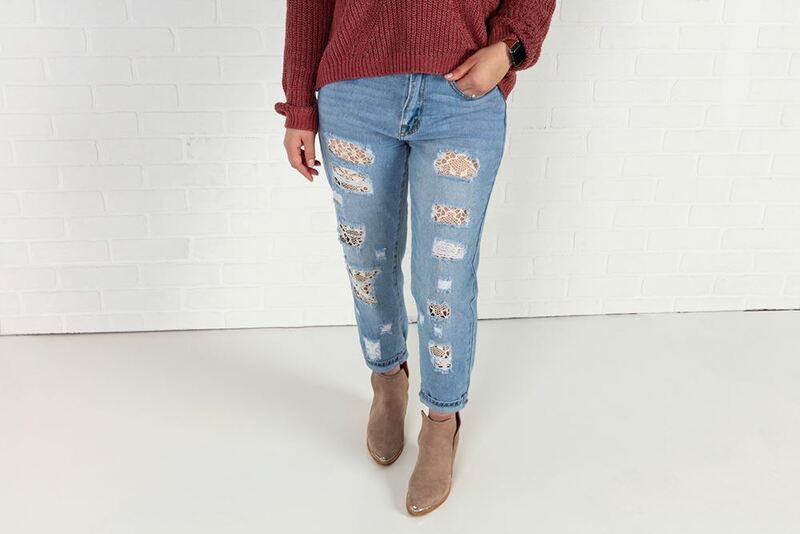 Reinforcing your ripped jeans with swatches of lace helps keep the tears from expanding and it's a super cute way to customize your look without spending much at all. 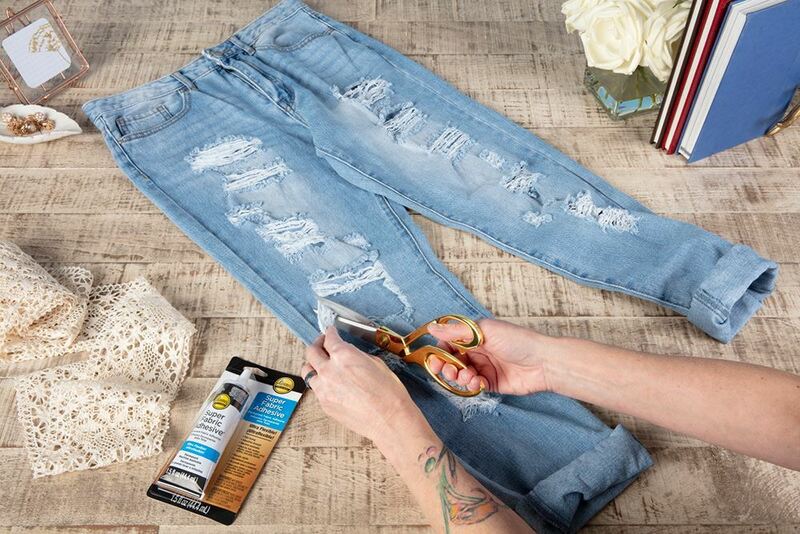 Just grab a tube of Aleene's Super Fabric Adhesive, a few swatches of lace and you're ready to rock your own no-sew lace jeans! Trim away loose fringe from around holes in jeans. Turn jeans inside out. Trim cardboard or heavy cardstock to fit inside each leg to prevent glue from soaking through to backside. Trim lace swatch to fit over tears. You can either use one large panel or cut lace to fit over each hole. Make sure the lace is larger than the tears. Use Super Fabric Adhesive to glue lace around tears. Let dry completely, then remove cardboard from inside jean legs and turn right side out. Make sure to wait at least 3 days before washing to let the glue fully cure. Take your newly upcycled lace jeans out for some fun!